Aaron was born and raised less than a mile from Calvary Summitview, attending Newton Middle School right across the street from the church and Arapahoe High School not too far away either. He loves being able to serve and minister in the area where he grew up! 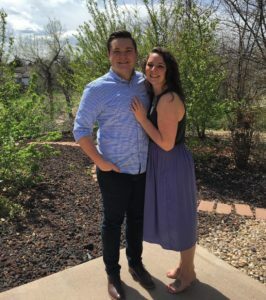 Aaron is married to Emma, and they met at Colorado Christian University when both were on the same RA team. 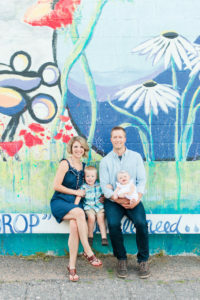 They have been married for over 3 years, and they love traveling, cooking, and being with their golden retriever Russell. Aaron loves to read anything and everything (from theology and history to biographies and fantasy novels) and listen to all kinds of music (from hip hop and alternative to metal and classical). He also loves watching international and club soccer (particularly Manchester United), exploring new food and drinks, and spending as much time with his friends and family as he can. Some of his favorite books include The Christian Institutes by John Calvin, Knowing God by J.I. Packer, and The Stranger by Albert Camus. One of his favorite Bible verses is John 1:14: “And the Word became flesh and dwelt among us, and we have seen his glory, glory as of the only Son from the Father, full of grace and truth.” Aaron graduated from Denver Seminary with an M.Div. in May 2018.